Work for SAP Oil and Gas? Learning about SAP Oil and Gas? "Great Vertical module but not for latam"
This module is the best for working in pretolum station and extraction companys , it has all the integration necessary for SAP to use the regular modules with the type of data that are use in this type of bussines , is really easy to manage for the regular sap user and once is installed is really standar in it's procedure. The information of the module is pretty masive and a lot of consultant to choose for a team. Get a big team of senior consultants , this module is not for juniors and those consultant have to be involve in this type of bussines in a way to complete the technical issue with bussines logic , so this way the problems can be solve in a more eficient way. 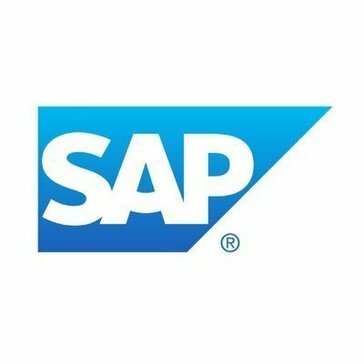 "SAP Industry Suite to attend Oil & Gas Upstream core processes"
This solution is part of the SAP IS - Industry Solutions, which encompasses solutions to attend core business for industries such as Oil & Gas, Mining, Utilities, Automotive and many others. The best upside is to have all your core information integrated to back office/standard SAP modules such as procurement (MM) and finance (FI). With the Oil & Gas Module you are able to manage and control the key steps of your supply chain - logistics, production and sales. This is a very robust and mature solution, but the UI is not so innovative as it it based on traditional SAP ECC. SAP is doing a marvelous job on ehancing user experience and I believe that SAP Oil & Gas must be within the front row of this revamp. Consider a through training phase during the implementation of this module to take full advantage of the solution. Seamless integration with backoffice information. "Excellent for shared documents and procedures"
It allows users across an organization to access / view / upload / download documents and procedures vital to a companies functions. It is not real intuitive, you definitely have to be trained. I review manufacturing record books and have to access SAP to verify if the correct documentation is in the MRB and is the current revision be viewing quality plans, bills of material and drawings. * We monitor all SAP Oil and Gas reviews to prevent fraudulent reviews and keep review quality high. We do not post reviews by company employees or direct competitors. Validated reviews require the user to submit a screenshot of the product containing their user ID, in order to verify a user is an actual user of the product. Hi there! Are you looking to implement a solution like SAP Oil and Gas?